Rashi Peripherals announced the launch of the much awaited “Touching Everyone’s Life (TEL)” event. 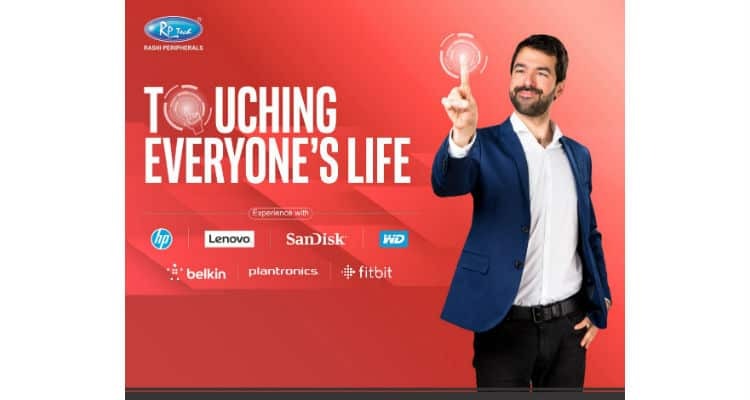 Organized in collaboration with world-renowned brands: Western Digital, SanDisk, Plantronics, Fitbit, Belkin and Lenovo, TEL aims to offer hands-on experience of latest product innovations in Lifestyle Tech to end-users. Kick-started in Mumbai, TEL is set to reach out to over 30 B and C class cities and towns across pan India. TEL will explore the untapped markets and help its brands increase their footprints in the country. First, of its kind in the industry, TEL not only showcases the latest technology innovations to end-users but allow them to touch, feel and experience the high-end gadgets displayed at dedicated LIVE Experience pavilion. This pavilion consists Students corner, Retailers corners, Technology corner and Gaming corner, where audience can touch, feel and experience the products. The Gaming zone brings a plethora of Gaming hardware and accessories to give users a seamless experience of high-end gaming. Similarly, they can do the performance and speed test different products and accessories at the Technology Corner. The Students’ corner is a major highlight at TEL, where collegians can purchase their favorite gadgets and accessories at attractive prices. Aiming to strengthen its ties with upcountry partners, Rashi Peripherals will also host Retail Connect as part of TEL to bring together partners and brands across the table to discuss new business avenues in the Lifestyle Tech segment. There will be a full-fledged product training session, where partners will get thorough knowledge about new innovations in the accessories business and new insights into a business pitch. TEL is open for all tech enthusiasts and gadget freaks who are eager to explore the latest technology. So, get ready to experience the amazing Tech innovations only at TEL forum coming to your city soon. Rashi Peripherals Kick-Starts Ambitious Touching Everyone’s Life (TEL) Event 0 out of 5 based on 0 ratings. 0 user reviews.